I attended this show in 2018, for its first year. The website looked promising, the social media blasts promised some great guests and programming, and being in Waco, I expected good crowds. I usually do when it's smaller town cons. I had booked my table MONTHS in advanced as a comic guest. I had everything confirmed and ready to go. About 3 weeks before the convention, someone named Leland Manigo TEXTED me asking if I had registered for the show, which I had. He then asked for my payment, to which I told him that I was given a table. I provided him with the emails sent to me confirming. He THEN came back and gave me a long message mansplaining how conventions work and that I need to pay and invest because that's the point of having a table, mutual investment. I explained how it was unprofessional and that if that's the case, I would not be attending and I would pull all of my promotion I had done for the show. Funny enough, he said to go ahead and come. It was all taken care of. Oh, really? We arrive the day of the show and when we arrived at the check-in table, the staff did not know what the heck they were doing. Not even exaggerating, one guy didn't know how to put a lanyard on a badge and spent some time figuring that out. After being there longer than necessary, and them struggling to find my information on the list, I made it in. I had a regular artist table, which I figured I wasn't a guest anymore. Whatever, a table was a table and the layout actually seemed promising. It really was a nice venue and I expected a great event centered around it. We had time to setup before the doors opened and so I made sure we were ready for these big crowds we were promised. HA. Right. Crowds. I didn't make my first sale until about three hours in because people were just not in attendance. I got lucky that a friend was in town and came by to buy something because WOW. There were a few people walking around, but it turns out they were just passing time waiting for all the guests to arrive, get their selfie, then leave. NO JOKE. The only crowds visible were the little bro groups surrounding the guests and making "hype videos" (no, really. 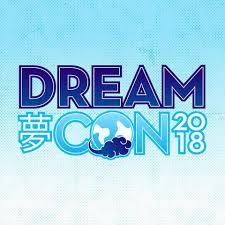 Go watch all the Youtube vlogs about this con. They made it look like it was lit, but it's just a closeup of them shouting.) So now you leave all of us artists in the hall, no crowds, loud wrestling going on on the other side of the room, and very loud obnoxious rap music playing so loud that even if I got lucky and got a customer, I couldn't hear what they were saying. I ended up making less than $20 that first day and we contemplated even coming back Saturday. We tried to find a staff member to ask about the lockup situation so I could pack up properly. As expected, couldn't find a single staff member, so we just packed it all and left. We came back Saturday and said that if we didn't meet a quota by noon, we would pack up before lunch and bounce. I sold one sticker that day. $2. Crowds were not any better. I found a big crowd at the con. Want to know where they were? They were all in a separate part of the building playing dodgeball with the YouTubers. I wish I could make this up. So I spend the rest of our expected time at the show taking pictures of my merch because I knew I would have to reopen my online store that night to make up for this atrocity. We ended up packing up and leaving in the early afternoon. I am thankful that Waco isn't a long drive from Dallas and that I stayed with a friend while there, so expenses were low, but I barely paid back my gas going and coming. Even if you're local, I say go ahead and avoid this show. You can find a better way to spend your weekend. Staff has been ignoring my emails for almost 3 months now about a question I had regarding my table cancelation. Was invoiced $100 after canceling due to them requiring a cancelation fee of $100 AND are keeping my $75 table money!!!! SCAM!!!!! Skip this con, do not support them because they truly are CONS. The artist alley was a ghost town. No one went in, the attendees only cared about meeting you tubers. I usually make great profit at cons and I made $80 ALL WEEKEND. Packed up early to go home like everyone else while staff was walking by begging people to stay. Never. Again. Worst con I’ve ever attended as an artist. As an experienced vendor who usually makes profit, I barely broke even. The staff apologized to the artists about how bad it was and almost everyone packed up early so they could enjoy their weekend instead of sitting at a table not making any profit. 2018 was their first year, and it was sensational! I got to meet a ton of youtubers and fellow geeks. Highly recommended!